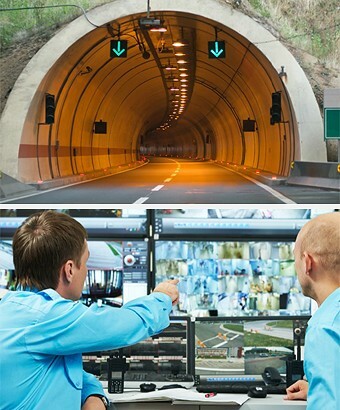 Traffic Management and Homeland Security initiatives mandate tunnels, bridges and other critical infrastructure locations be monitored on a continual basis. Video monitoring can identify potential threats and unsafe conditions with time to react. 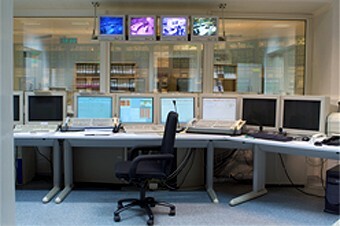 The ubiquitous availability of wide area networking through internet or cell data access points has also enabled the consolidation of distributed monitoring facilities into centralized monitoring. 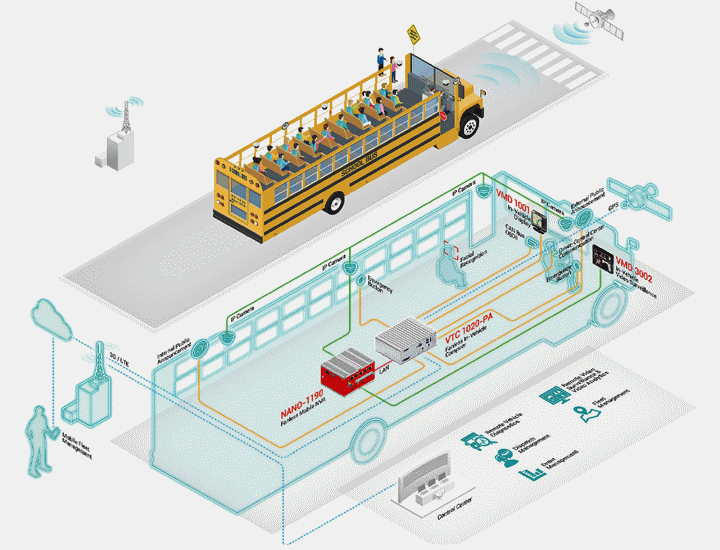 In addition to being more cost effective, centralized monitoring provides the opportunity for a coordinated response to a potential incident or accident. However, although tunnels and other facilities have generally been equipped with CCTV cameras for local viewing, the video is often not readily available at the remote location. This application demonstrates AMP's StreamCorder-SD4 used to augment a tunnel's existing CCTV camera installation with streaming and recording capabilities for access and control by personnel in a centralized remote monitoring facility. The StreamCorder-SD4 (Stand-alone H.264 Video Recorder & Streamer) plays an active role in the Surveillance of Critical Facilities where multiple cameras monitor secure & hazardous environments for leaks and spillages as well as unauthorized access. Improvements in video analytics has led to their increasing use in highway traffic analysis, planning and control. 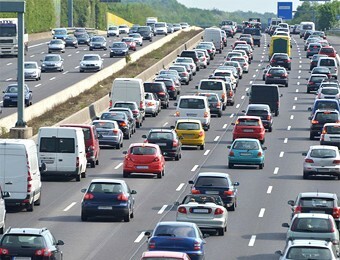 However, due to the compute intensive nature of video analytics and the unique data requirements derived from the number of application specific algorithms, it is impractical to collocate the analytics processing engines near the traffic. Instead, a solution that captures, records and provides the required footage to cloud based computer vision servers is viewed to be ideal. This application demonstrates Advanced Micro Peripherals products serving video footage on demand. Analytics engines access the cloud based video providing traffic engineers with relevant data for their traffic studies reducing congestion and vehicular pollution. Video surveillance is a critical aspect in vehicles for protecting driver and passenger safety, as well as the public safety. A solid video surveillance system must be comprehensive in the areas of video capture, transmission, display, storage and management. By implementing GPS and mobile network technology, video surveillance systems can empower remote video monitoring in real-time. In addition, with advanced video analytics algorithms, video surveillance systems can provide Automatic License Plate Recognition (ALPR), Longstop Object Detection (LOD) and Driver Behavior Monitoring (DBM) to avoid traffic accidents and Human Facial Recognition (HFR) to assist crime prevention. Der XStream-SD4 ist eine intelligente, Stand-Alone, Ultra Low Latency H. 264-Streaming-Lösung, die 4x NTSC / PAL / RS-170 Composite Videoquellen unterstützt und diese über 100/1.000MBit Ethernet aufzeichnet und streamt. Diese Lösung ist ideal für den schnellen Einsatz in anspruchsvollen Anwendungen wie Militär, Kommunikation, Transport, Bergbau und Energieindustrie.